The hall is a spacious area with a stage. Ideal for functions, parties, performances, concerts and sports including badminton. 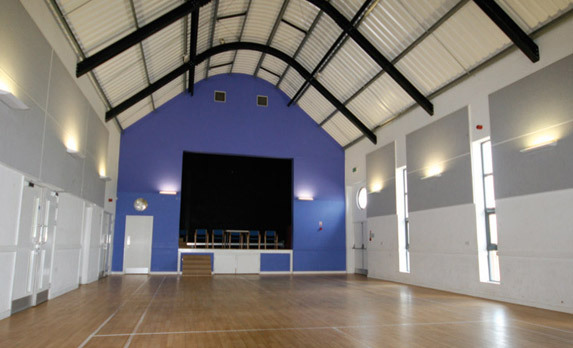 The hall hire rate includes the adjacent fully equipped kitchen. Chairs, tables, cutlery, crockery, glasses are available for use at no additional charge. The Pavilion Lounge has been recently refurbished and is a light and airy carpeted room ideal for meetings or small gatherings. 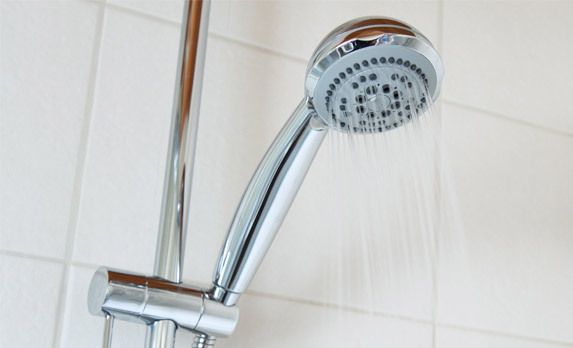 It also benefits from having an integral kitchen area comprising of a cooker, fridge, sink, work top area and water heater. 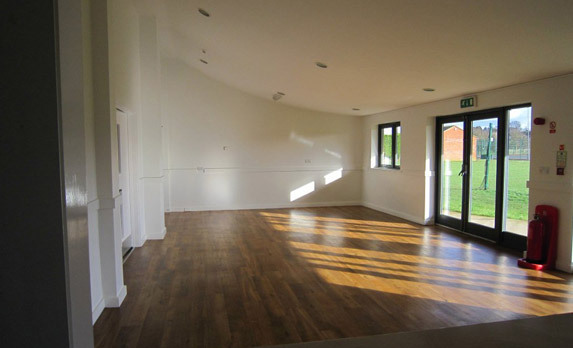 Our lounge is a light and spacious room with french doors leading to the recreational ground. 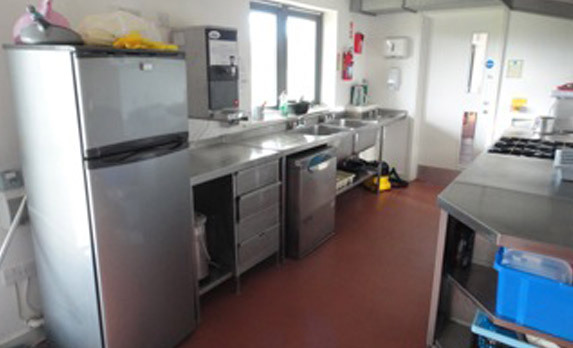 The lounge hire rate includes the adjacent fully equipped kitchen. Our modern fully equipped kitchen is ideal to cope with functions of any size, whether you are a professional chef or a keen amateur. With stainless steel working areas, two sinks and a handwashing sink , plus a 5 ring gas hob and oven, large parties can easily be catered for. Please note we have a small selection of pans and trays but advise parties to bring their own items to ensure they have the correct equipment. Free of charge when the lounge or hall are hired. 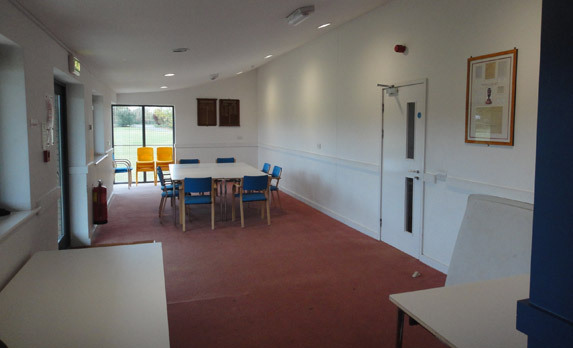 The centre has two team sized changing rooms with showers – home and away, plus a separate individual referees shower /changing room.